There are no limits. Only possibilities. 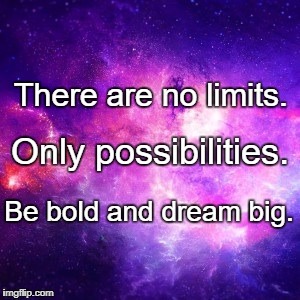 Be bold and dream big.